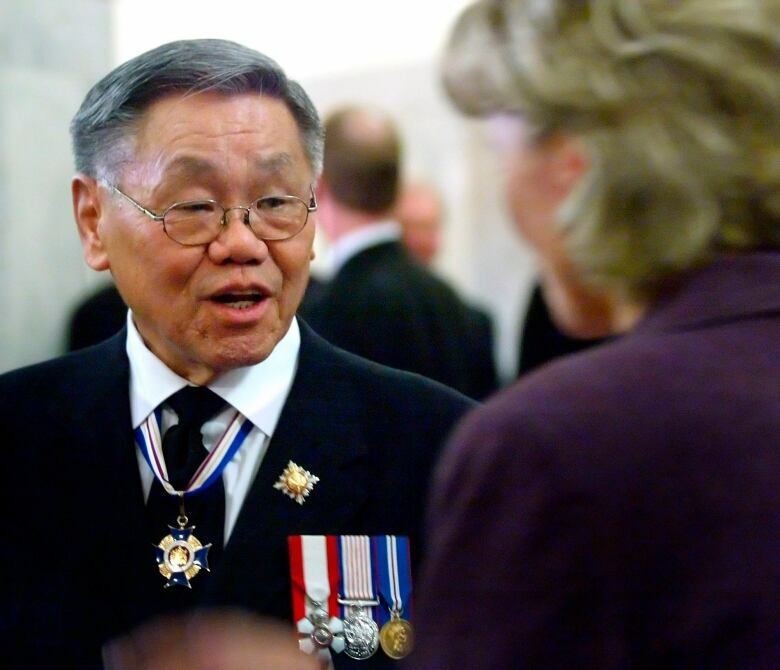 Norman Lim Kwong — who in 1948 was the first Canadian of Asian heritage to play for the CFL, then went on to become a prominent businessman and Alberta's 16th lieutenant-governor — has died in his sleep at the age of 86. 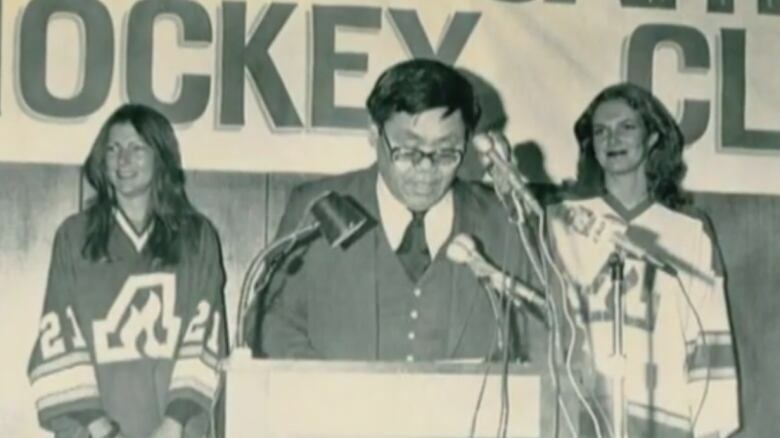 Norman Lim Kwong — who in 1948 was the first Canadian of Asian heritage to play for the CFL, then went on to become a prominent businessman and Alberta's 16th lieutenant-governor — has died in his sleep at the age of 86, according to his family. "Our father was a great man who accomplished so much in his lifetime. A genuine family man, he also had tremendous success as a professional athlete, team owner, business executive and government official," the family said in a statement. Kwong's eldest son, Greg Kwong, said his father had clear priorities. "Dad kept his fame, if you want to call it that, separate from his household life. At home he was just the guy who praised you if you did well and punished you if you didn't do well — there to provide love and support," Greg told CBC News Saturday. The 55-year-old said his father loved both of the Alberta CFL teams he played for. "He admitted that he liked them both. He played longer with Edmonton for 10 years, Calgary for three. Most of his accolades came with Edmonton, so from that perspective, you could say Edmonton was a little more endearing to him but he never really showed favouritism either way. He had love for both the red and white, and the green and gold." The Calgary Stampeders president and general manager said Kwong made a huge contribution to many communities. "Normie was a great man who contributed so much to the Stampeders, the CFL, the city of Calgary and the province of Alberta," John Hufnagel said in a statement. "He will be sadly missed but his legacy will endure." Wally Buono was hired during Kwong's time with the football club, which saw 11 consecutive winning seasons and three Grey Cups. Kwong was added to the team's wall of fame in 2012. Ken King with the Calgary Flames said he touched a lot of lives. "I am saddened today to hear of the death of a great Calgarian and great Canadian Normie Kwong. Normie was a special gift to Calgary's sporting world as a Hall of Fame player with the Stampeders, an executive and an original co-owner of the Calgary Flames," King said in a statement. "He will be sorely missed by our community and country. Remember him and cherish the privilege we all have in knowing him." Lieutenant Governor Lois Mitchell said Kwong will be missed by many. "[He] will long be remembered for the quiet strength, innate kindness and sense of humour that he brought to his duties as Alberta's vice-regal representative and to his lifetime of sterling service and leadership," Mitchell said in a statement. Alberta Premier Rachel Notley said he gave a great deal. "Mr. Kwong was proud to be the son of Chinese immigrants. He was an Alberta success story from an early age. From his storied career in the Canadian Football League to his later co-ownership of the Calgary Flames, he was a champion on the field of play and in life," Notley said in a statement. "He gave his time generously to non-profit and voluntary organizations across the country. His contributions to public life earned him many honours, including the Order of Canada." The Edmonton Eskimos tweeted their sadness at the loss of the "China Clipper." "We're deeply saddened by the loss of #Esks great Normie Kwong. Our deepest condolences to his friends and family," the team posted. Former deputy premier Thomas Lukaszuk tweeted condolences. "I'm sad to learn of Hon. Norman Kwong's passing. It was an honor to have known him. My condolences to all his loved ones," he wrote. 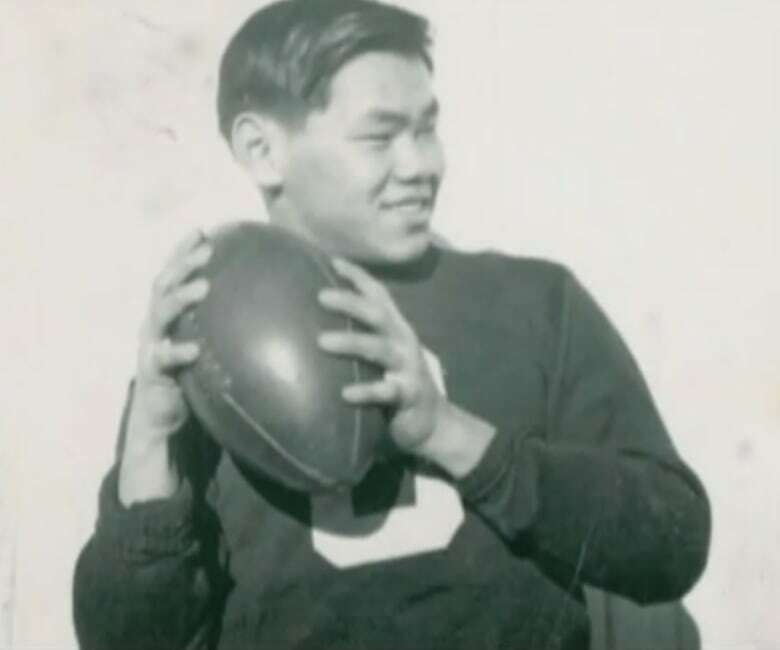 Kwong became the first Canadian of Asian heritage to play for the CFL when he joined the Calgary Stampeders in 1948, according to his Legislative Assembly of Alberta's biography. At the age of 18, Kwong was also the youngest player to win a Grey Cup. Kwong's 10-year career with the Edmonton Eskimos starting in the 1950s had him rubbing elbows with future Alberta premiers Peter Lougheed and Don Getty. Kwong married Mary Lee in the early 1960s and had four sons: Gregory, Bradley, Martin and Randall. "Throughout his varied life he touched so many people with his humility, intellect, dignity, unforgettable wit and sense of humour. His unique ability to connect at multiple levels with all types of people is something few people possess," the Kwong family said. Kwong retired from football to become a stockbroker in 1962. Commercial real estate followed as Kwong became a vice president and general manager of Torode Realty. He returned to pro sports in 1980 as one of the original owners of the Calgary Flames. Kwong received numerous awards over his lifetime. He was inducted into the Canadian Football Hall of Fame in 1969, Canada's Sports Hall of Fame in 1975 and the Alberta Sports Hall of Fame five years later. In 1988, the Normie Kwong Bursary was established at the University of Calgary and awarded annually to needy medical students. 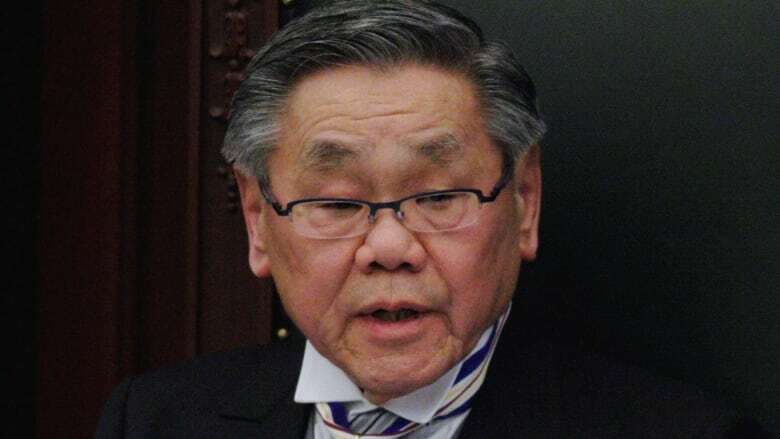 A gymnasium was dedicated to him at the Canadian Embassy in Beijing in the 1990s and in 1998 Kwong received the Order of Canada. 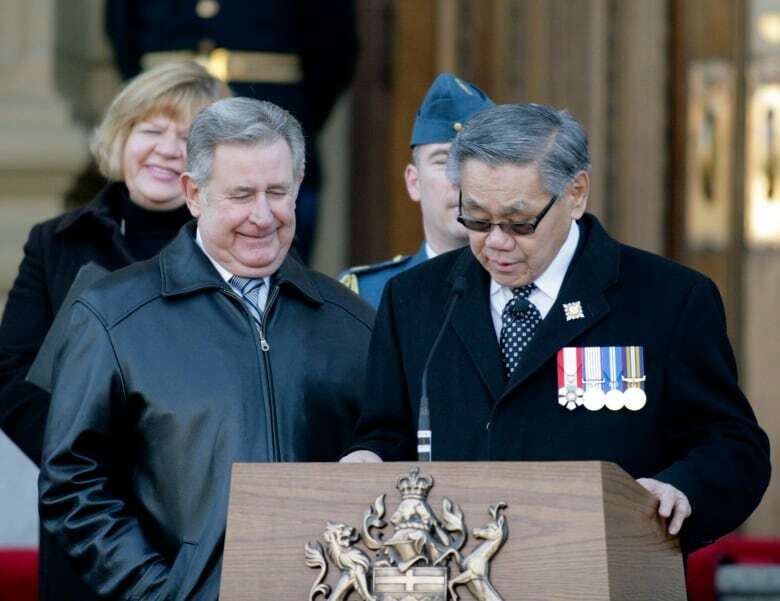 Kwong became Alberta's 16th lieutenant-governor in 2005. "Norman Kwong is an inspiration for many Canadians," then-prime minister Paul Martin said at the time. "His many contributions, as a professional athlete, as a business person and as a prominent figure in society, speak to his commitment to the people of Alberta. He will serve his province and his country well." He received the Association of Chinese Canadian Entrepreneurs (ACCE) lifetime achievement award in 2008. When Kwong's term as lieutenant-governor came to a close in 2010, a portrait by Tag Kim was unveiled at the legislative building. "I was deeply honoured by such a rare opportunity to serve the province and country," Kwong said at the time. His family says they will "miss him dearly," but cherish their memories of him as a husband, father, grandfather and uncle. Details on a funeral service are yet to come, the statement says. "While it is incredibly difficult to say goodbye, we are comforted in knowing that he had a most blessed and fulfilled life and that our love for, and memory of, him will remain with us forever," the family said. Greg Kwong said his father's many accomplishments did not affect his role as father. "I'd like people to know that his family was his priority. It wasn't his fame, fortune of any type of public accolades," Greg said. "He wanted to make sure that his children were set on the right path and he did that." A previous version of this story said Norman Kwong was 87 when he died. He was 86.